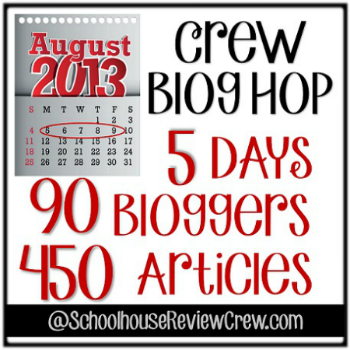 I am teaming up for the 5 Days of... Blog Hop and my theme this year is Surviving the Schooling Years. My hope this week is to offer at least a couple suggestions to make it easier for you to remain calm and relaxed during your schooling experiences. What it means for me to survive may be very different than what survival looks like at your house. When we were looking for houses to buy, one of my conditions was that it had to have a school room. I wanted our schooling space to be it's own area. I knew that working around a dining room table wouldn't work for me. I had to be able to walk away and shut the door. If we were going to homeschool I wanted to be able to take a break when needed. To separate school mess from home mess. I thought a separate space would help the kids to form divisions within their lives between school and other time. The messier the room the more they learn. Of course learning happens everywhere and anywhere. And having a room in your house that is just for schooling may not be a priority for you. But I challenge you to really think and pray about one thing that would make your school day go better. Maybe it is buying that really expensive video math program to free up some of your teaching time. It's not in the budget this year, but you know it would make a big difference in your day-to-day life. Your goal may not be a concrete thing and may be something as easy as developing a friendship with that friendly gal at the library. You're kids aren't the same age, but maybe you could support each other in different ways that in turn will support your school day. Have one attainable goal for the year. If you meet that goal, set another one. I find that setting several small attainable goals helps me get through the year. Not only do they help me feel as though I have accomplished something, but there are usually many graces that fill my life through my goals.